Friday 6th October at London Bush Hall – Buy tickets here. 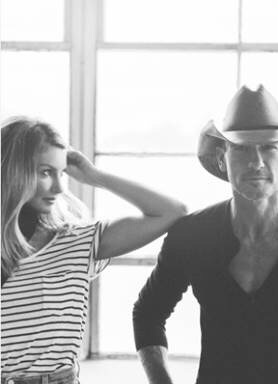 Grammy© award-winning superstars Faith Hill and Tim McGraw have been announced as the first headliners for Country to Country 2018 and will be bringing their highly acclaimed and record setting Soul2Soul tour to this year’s event. The official C2C 2018 launch event will take place on Friday 6th October at London Bush Hall with BBC Radio 2’s Bob Harris exclusively unveiling the line-up. Faith Hill is one of the top-selling and most-awarded female artists of all time with 5 Grammy Awards, 12 Academy of Country Music Awards, 3 Country Music Association Awards, 4 Billboard Music Awards, 4 American Music Awards and 4 People’s Choice Awards. She has consistently broken chart records with her #1 singles and has had major crossover success with the hits “This Kiss,” “Breathe,” “The Way You Love Me,” “Cry” and “There You’ll Be.” She has had multiple albums top both the Billboard Top 100 and Country charts simultaneously and with only seven original studio albums, has sold more than 30 million albums worldwide. Tim McGraw who headlined the very first Country to Country festival in 2013, has sold more than 50 million records and dominated the charts with 43 worldwide #1 singles. He’s won 3 Grammy Awards, 16 Academy of Country Music Awards, 14 Country Music Association Awards, 11 American Music Awards, 3 People’s Choice Awards and numerous other honors. His iconic career achievements include being named the BDS Radio’s Most Played Artist of the Decade for all music genres and having the Most Played Song of the Decade for all music genres. He is the most played country artist since his debut in 1992, with two singles spending over 10 weeks at #1. Faith Hill and Tim McGraw will be joined by a whole host of multi-platinum and acclaimed artists across the weekend.